Some facts about the last and final Messenger of God who was sent as a mercy to all mankind bring the last and final revelation the Holy Quran. What is Islam? Who is Muhammad (P.B.U.H) and what is purpose of Life? What is Islam? 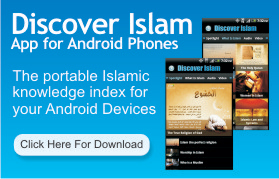 Explanation of the religion of Islam by Shaykh Ibrahim Zidan. 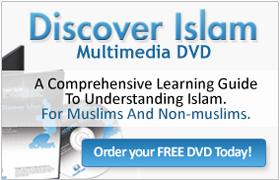 Common Sense of Islam: An audio lecture by Shiekh Yusuf Estes. The preceding presentation has demonstrated that the name of the religion of Islam expresses Islam’s most central principle, submission to God, and that the name “Islam” was chosen not by man, but by God, according to the holy scriptures of Islam. It has also been shown that Islam alone teaches the uniqueness of God and His attributes and enjoins the worship of God alone without intermediaries. Finally, due to the divinely instilled inclination of man to worship God and the signs revealed by God throughout the ages to each individual, Islam may be achieved by all men at all times. 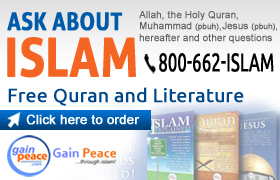 The significance of the name Islam (submission to God), Islam’s fundamental acknowledgment of the uniqueness of God and Islam’s accessibility to all mankind at all times convincingly support Islam’s claim that from the beginning of time in whatever language it was expressed, Islam alone has been, and will be the true religion of God.